Noah Syndergaard is known for his Thor-like hair, as his long blonde hair has become one of his most-know features. 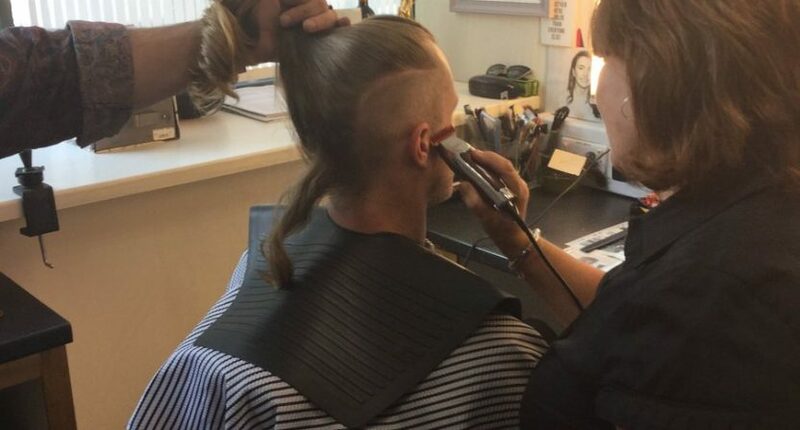 Shockingly, Syndergaard has shaved part of his head, but for a good reason. Syndergaard is referring to teammate Jacob DeGrom, who cut his hair before the season started and had a Cy Young caliber year. I got to say, for having that long of hair and shaving the sides off, Syndergaard’s new mop is on point. Who knows? Maybe, he’ll have a similar uptick in production as DeGrom with a significant amount of his hair chopped off. Regardless, I’m glad Thor, sorry Thorbjorn, kept his long locks while cutting down some of its thickness. I like it.